We’ve been talking endlessly about the upcoming Chevrolet Corvette C8 and, also, the race-going C8.R. Fans of old are lamenting about how it’s not really a Corvette if the engine isn’t in front of the driver, but this might not be the only problem the old guard will have with the new car. 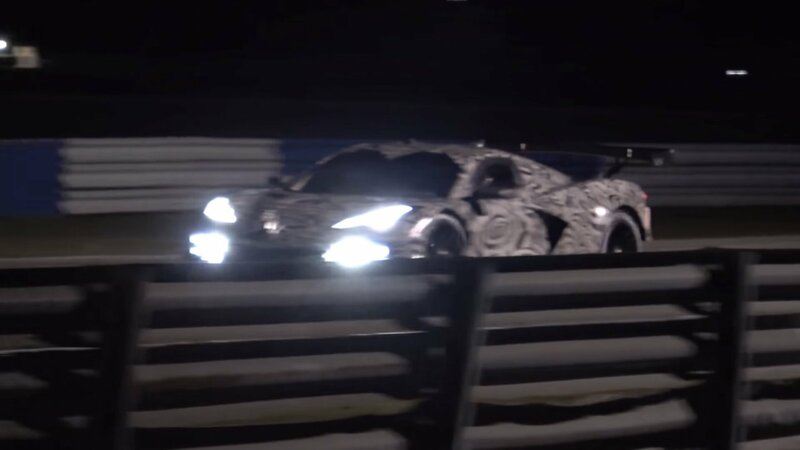 As we can hear in this new video captured at Sebring Raceway, the C8.R tries to sound like a Ferrari 488 GTE which suggests the push-rod V-8 might be a thing of the past, at least on the race car. Chevy’s been busy testing the C8, that will be the first production mid-engine Corvette ever made, for over a year. At the same time, the guys at Pratt & Miller are racking up the test miles of the C8.R mules that should taste competition for the first time at the 2020 Daytona 24 Hours race.